It is with great pleasure that Robinson Services announce that one of their cleaners, Andy Heagley, has been awarded the BICS Cleaner of the Year Award for 2012. 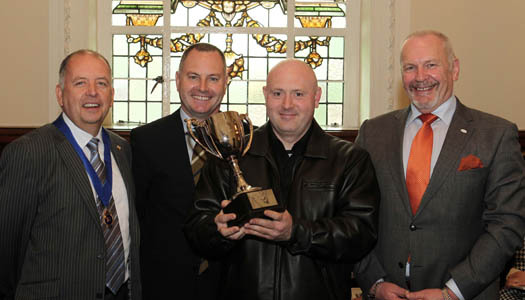 This year’s presentation of BICSc Cleaner of the Year for Northern Ireland was held at Belfast City Hall, on Friday 14th September 2012. The Chairperson of BICSc Mike Fletcher, as well as the organisations CEO Stan Atkins, were both in attendance to present the awards. The Lord Mayor of Belfast, Gavin Robinson congratulated BICSc on their awards ceremony for an industry which although vital is under recognised, an idea which was echoed in the keynote speech by the Chairperson of BICSc who reminded everyone how important the cleaners are in any organisation. 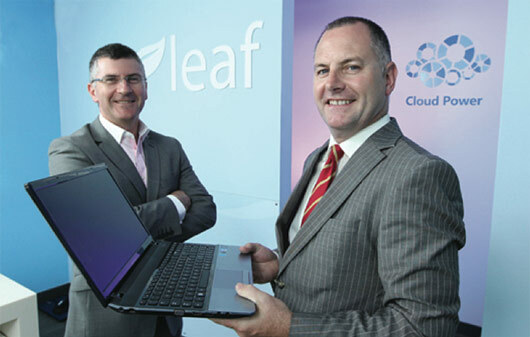 Robinson Services has completed a ‘recession friendly’ cloud computing deal with Leaf, an IT Solutions Company that was recently placed in Deloitte’s Fast50 for the second successive year and is ranked the top infrastructure company in the prestigious list.. The contract will see Robinson Services save thousands of pounds through their adoption of cloud computing with a return on investment expected to be delivered within less than 5 years through greater productivity and reduced hardware and upgrade costs. Leaf completed the work in under 4 weeks, which included setting up Microsoft Office 365, a cloud based solution, for 65 users. The new system links all of Robinson Services offices to the cloud and provides an online portal for documents to be stored which can be co-authored in real time. In addition, the service also includes pc to pc video and audio calls, instant messaging and shared calendars and contacts. Over one billion people in the world do not have access to safe water and every fifteen seconds one in four children under the age of five dies in East Africa from water borne diseases! However five rowing men aim to do something about that! Recently the took on the challenge by rowing over fifty miles round the largest inshore freshwater lake in the British Isles, Lough Neagh – inside just one day, Friday 14th September 2012. Just one freshwater well in East Africa provides enough water for 1,000 people. Lough Neagh supplies clean water for 40% of Northern Ireland’s population of one and a three quarter million. Five men with a thirst for living who want to see their charitable money well spent! 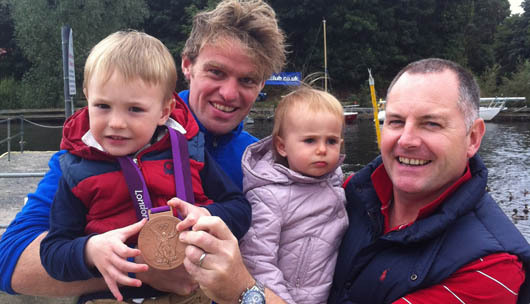 Of the four participating rowers, two are medal winners in the 2012 Olympics; Richard Chambers, Silver medal [twice World Champion] and Alan Campbell, Bronze medal [three-time World Championship medallist], both Team GB. Third is Richard Archibald, a former double World Championship medallist and Finalist in the Athens Olympics for Ireland and the fourth, Jonathan Mitchell [University World Championship Bronze medallist] and 9th in the World this year, rowing for Ireland in the Under-23 Lightweight Men’s Pairs. Their cox and Captain, steering them round the Lough and exhorting them to greater efforts, is Ian Harvey, aged 65 years, a former Irish Schools Eights Champion who has rowed across the world’s largest lakes for Fields of Life and BBC’s Children in Need, creating a `world first`. All at one time rowed for Coleraine Academical Institution, situated on the banks of the River Bann the only sea-borne outlet for Lough Neagh and all are members of COBRA [Coleraine Old Boy’s Rowing Association]. 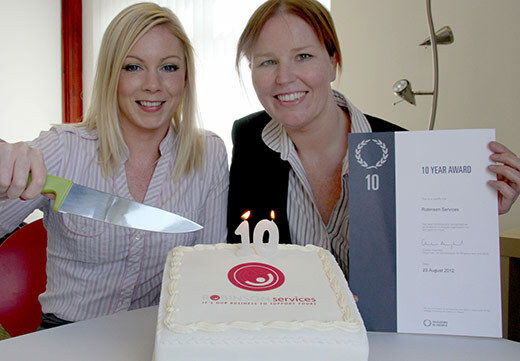 Birthday Celebrations at Robinson Services as they are recognised as an Investor in People for over 10 years! Pictured left to right: Shauna O’Boyle Health & Safety / Training Manager and Jane Askin Human Resources Manager. Robinson Services are delighted to announce that they have received a certificate celebrating that the company has been recognised as an Investor in People for over 10 years! Robinson Services joins a select group of organisations that have achieved this significant milestone which brings with it the benefit of successive Investors in People reviews. http://robinson-services.com/wp-content/uploads/2019/01/RS-web-header-logo-2019-1.png 0 0 Sheenagh Hunter http://robinson-services.com/wp-content/uploads/2019/01/RS-web-header-logo-2019-1.png Sheenagh Hunter2014-10-01 13:59:022014-12-05 11:09:49Birthday Celebrations at Robinson Services as they are recognised as an Investor in People for over 10 years! With the BICSc Cleaner of the Year Awards only weeks away at Belfast City Hall on Friday 14th September, Robinson Services’ two finalists Mark Rodgerson and Andy Heagley have been honing up on their skills in preparation. The two Robinson Services employees are feeling the temperature rise following interviews as the awards draw nearer as each of their categories for Cleaner of the Year are extremely competitive. Pictured left to right : Alan Mullan Antrim Hockey Club 1st X1 Captain , David Robinson , Managing Director Robinson Services and Andrew Heatley, Antrim Hockey Club Chairman and 1st X1 Goalkeeper. 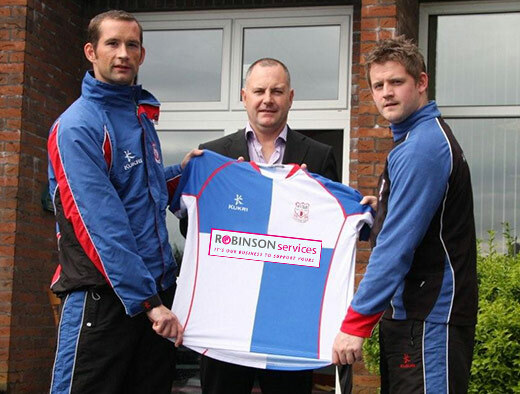 It’s not surprising that Robinson Services have chosen to support the Antrim Hockey Club. 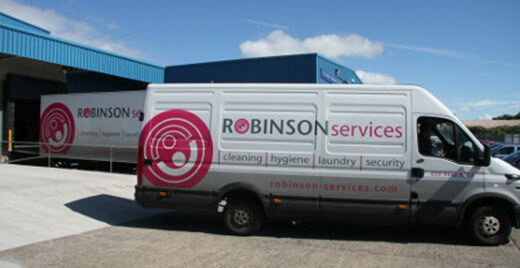 The four divisions of the company’s business which Adrian McCourt, Commercial Director at Robinson Services describes as ‘a winning combination’ – Cleaning, Hygiene, Security and Laundry – rely on the same qualities for success as in any team sport: commitment, passion, talent, and excellence. Such dedicated training of their staff has produced a sports style work-rate for Robinson Services and delighted their top clients including Junction One, Forestside Shopping Centre, McDonalds, Tesco, Lisney Belfast and The National Trust. The company continues to go from strength to strength, and Paul Whiteside, Treasurer, Antrim Hockey Club hopes that Robinson Services’ support for the Antrim Hockey Club will yield a successful year for both parties involved in the partnership. 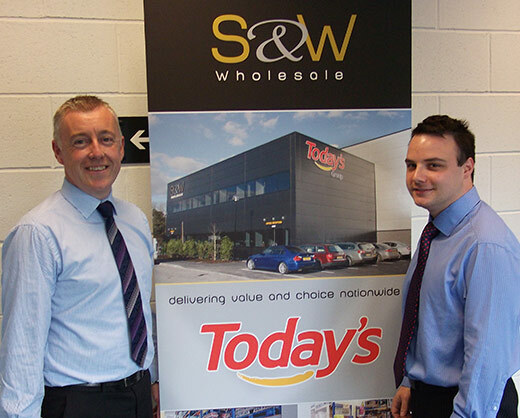 Robinson Services have again added to their already impressive client list with the addition of 84 Savage and Whitten stores across Northern Ireland, operating under the “Today” brand, for which Robinson Services has agreed to provide dust mat rental. We are delighted to welcome you to our new web site produced by Antrim basedTransparency Communications which we trust you will find useful in helping you find the service that is best suited to your business whether it be Cleaning,Hygiene, Laundry or Security – because It’s Our Business To Support Yours. 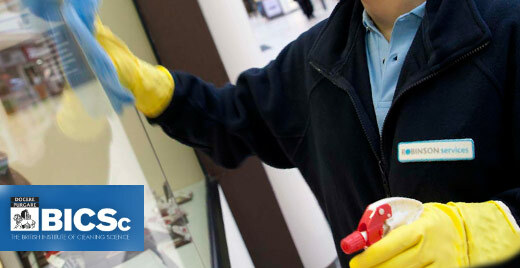 Our services range from Dust Mat Rental to Car Park Management, Graffiti Cleaning to Linen Hire, Office Cleaning to Security and Manned Guarding. Visit our website www.robinson-services.com for a full list of our extensive services. We look forward to welcoming you and we will of course continually update our news section, share with you our developments and provide useful links to assist you where possible. 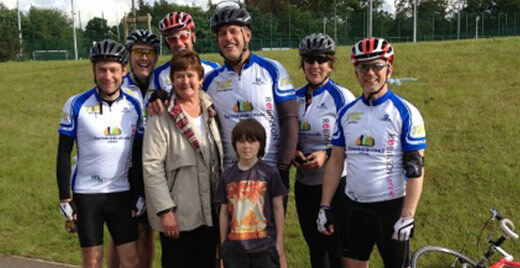 Team Forestside Cyclists, sponsored by Robinson Services, recently completed their first fundraising event by cycling 220 miles from Belfast to Dublin as part of Maracycle 2012, and raised a fantastic £2,200 for Marie Curie. The event was organised by Co-Operation Ireland who did a superb job of looking after over 800 riders. And if that wasn’t enough, later this month, Team Forestside riders are cycling a lap of Lough Neagh… another impressive 80 miles! The UK has ambitious plans to reduce national carbon emissions by 80 percent by 2050. We can all wonder if it is achievable but Robinson Services are playing their part by setting speed limiters on its entire fleet of vans and lorries to 56 mph and 52 mph respectively. “The UK has emerged as a leader in addressing the problem of carbon emissions implementing tough new standards that target the reduction of national carbon emissions.